Seiko Gentleman's classic strap watch. Solar quartz movement (no battery change) in gold plated case on black leather strap, white dial with black Roman nurerals and hands, water resistant to 30 meters and Hardlex mineral crystal. 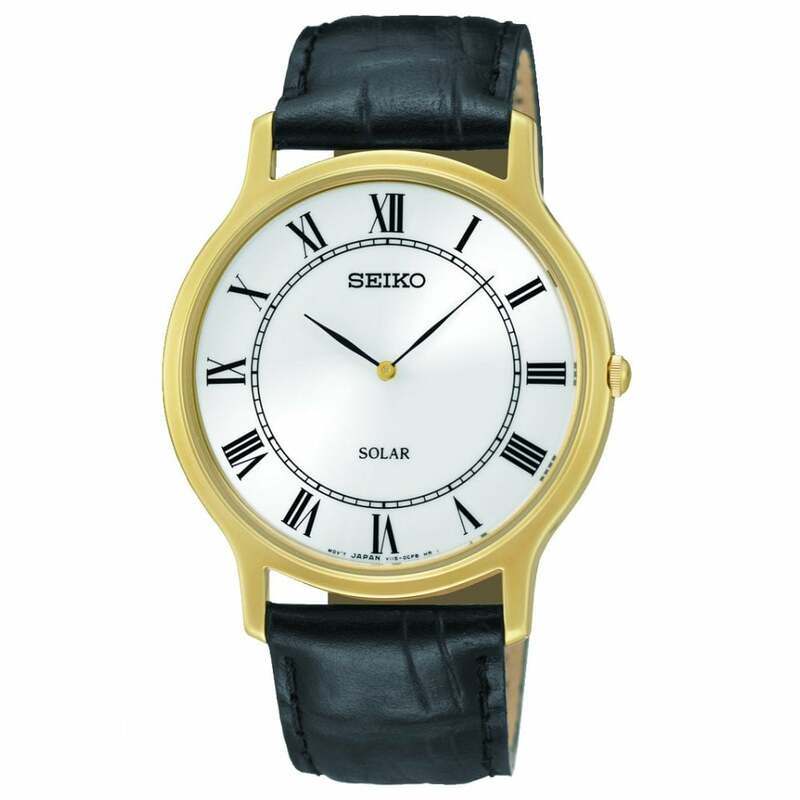 Comes complete with Seiko presentation case and two years international guarantee.